You’re already showing people the best plan to start evaluating with visual hierarchy, right?Well, this is the next step in that journey. Most people will be best served by your featured plan and that’s excellent. 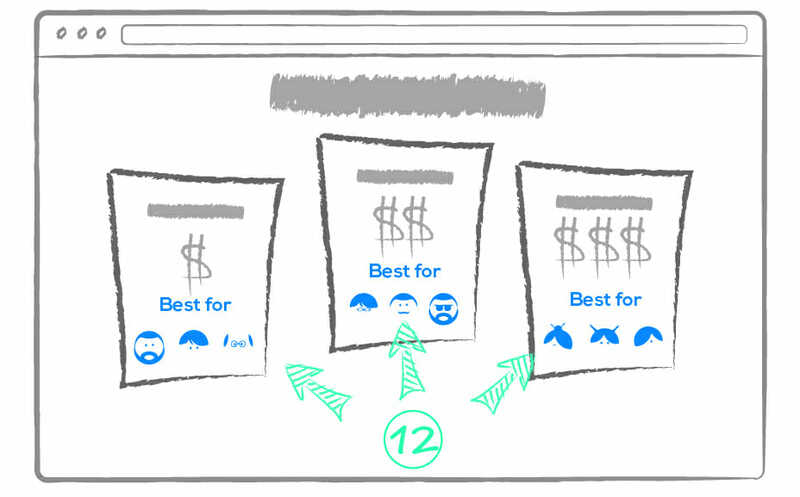 This technique improves the “featured” plan context by identifying who typically purchases that plan and making decisions easier for people inside and outside the featured plan’s target segment.Visual Website Optimizer has good “best for” copy and so does WP Engine. These descriptions are a nice way to divide plans meant for teams and plans meant for solo operators and consultants.